A plot of ruin in dark Ice Land. An exciting new work using the power of hip hop to explore a pressing issue within our communities, featuring new music from Aussie hip-hop legends Downsyde, MC Trooth and Layla. Hip hop is one the most important art forms for lower socio-economic youth in Australia and as an art form, it is able to reach a diverse range of people on many different levels. With the flow of jazz, the soul of blues, the energy of electro and the power of funk Ruin: A Hip H’Opera uses the language of hip hop to tackle a tough issue currently affecting our society – the plague of methamphetamine use. Meth has torn apart many areas of our community without prejudice towards gender, age, race, class, income status or religion. 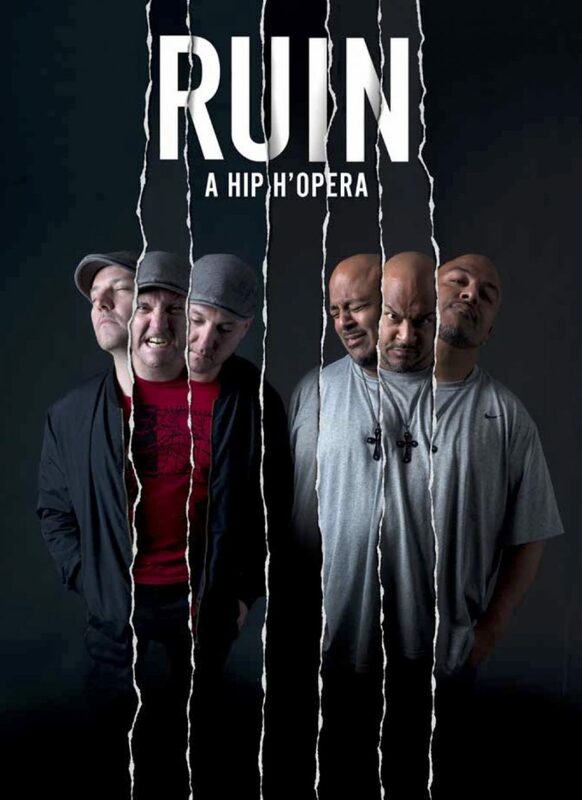 Yirra Yaakin has gathered powerful testimonials from users, carers, family members and many others to piece together a full-length contemporary theatre performance using hip hop as the key musical and philosophical drive. Join us as we explore the journey of Ice addiction in all its states, including happiness, invincibility and clarity, through to despair, fear, psychosis and, ultimately, the breakdown of our communities – their ruin. With an assembled team that boasts some of Western Australia’s best artists, Yirra Yaakin Theatre Company have partnered with Australian Hip Hop kings Downsyde, solo hip hop maestro MC Trooth and WA Hip Hop queen Layla to explore a very timely subject and ultimately ask the question: if meth use continues to escalate within our communities, what is going to happen to our society as a whole? We rely on you, our community, for our future creative and cultural programs. Your donations, encouragement and friendship provide vital support for the ongoing development of our artists and our work. Help us share Aboriginal stories as a Koordah or donor today!